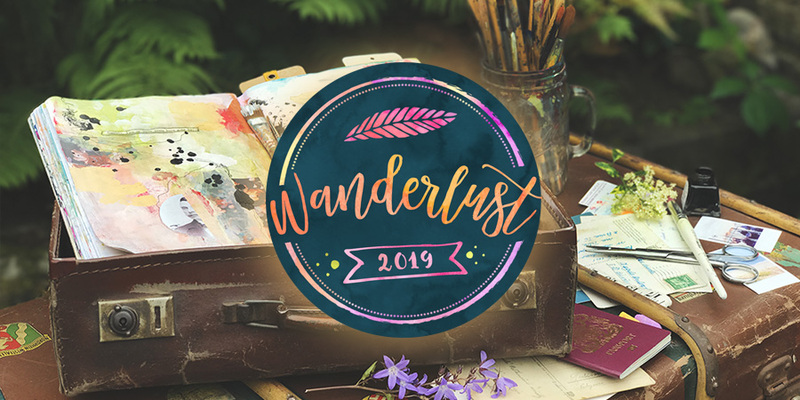 It seems this year is all about collaborations and I am thrilled to announce that I will be teaching in Wanderlust 2019! I feel super honored to be joining an amazing team of 26 artists for this year-long mixed media and art journaling course! Watch the VIDEO below to get a feel of the class and scroll down to MEET THE TEACHERS! + Instant Access Early Bird Bonuses! Reserve your seat & start creating TODAY! I will be teaching alongside the fabulous Finnabair, Jane LaFazio, Marta Lapkowska, Athanasia Papantoniou, Kelly Hoernig, Marjie Kemper, Marieke Blokland, Clare Etheridge, Luthien Thye, Eliza Trojanowska, Kellee Wynne Conrad, Shawn Petite, Mou Saha, Cat Kerr, Tanyalee Kahler, Kelli May-Krenz, Kiala Givehand, Mystele Kirkeeng, Tina Walker, Iris Fritschi-Cussens, Danielle Mack, Jolene Payne and Sasha Zeen, plus our wonderful hosts Kasia Avery and Anneliese Bates! “Beautiful Backgrounds” full-length lesson with Kasia Avery! We are going to have a fantastic time together in 2019 and I hope you will join us! Newer PostThe show is on!